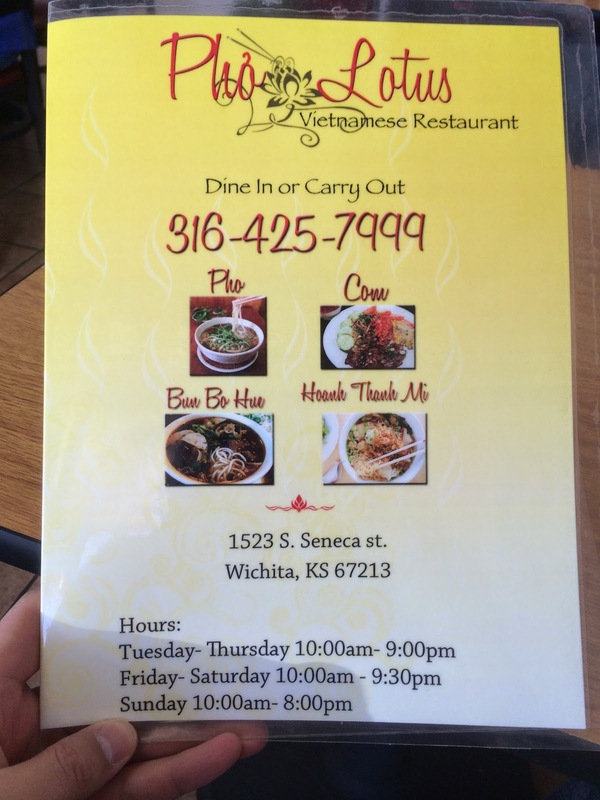 Pho Lotus Vietnamese Restaurant Review – Wichita By E.B. On one random day, I decided to just start driving around for a restaurant to try. This thought popped up in my head that I should give south Seneca a try. I drove from Kellogg and Seneca all the way to Seneca and 235. There were so many different restaurants to choose from, some I’ve never heard of. It almost made me think of doing a Seneca Restaurant Crawl where I spend one afternoon going from restaurant to restaurant trying new places out. BUT……I shall save that idea for another day. While passing by all those restaurants, I had to choose just one. It was a tough call but I found a restaurant that was a go to meal and there I was. Walking inside the place is pretty small, has the feel of a dive restaurant. 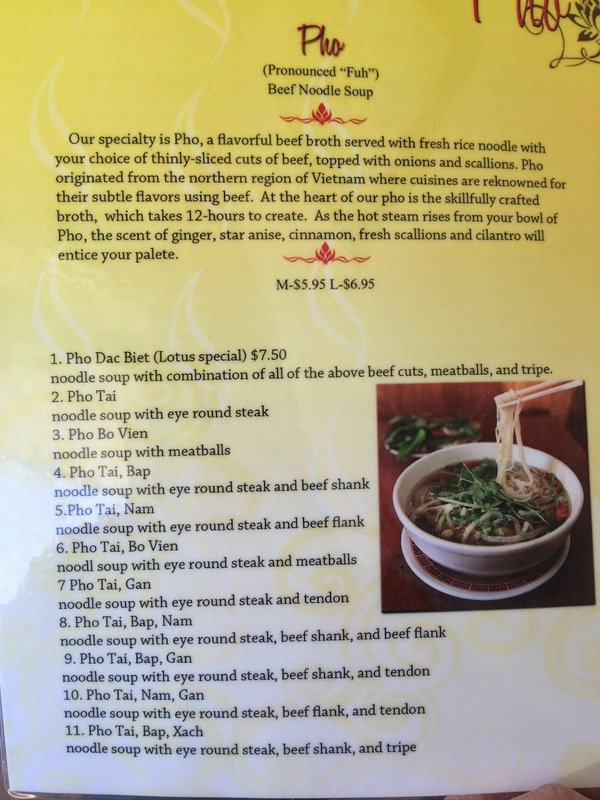 Your basic décor of any Vietnamese Pho restaurant is up on the walls including a television airing an episode of a Vietnamese television show. I heard there is a Vietnamese version of The Price is Right. What would I give to walk into a Pho restaurant and see Vietnamese Plinko? Or better yet, appear on an episode of Vietnamese Price is Right playing it? Add that one to the bucket list. After glancing at the menu, it didn’t take me long to figure out what I wanted to order. 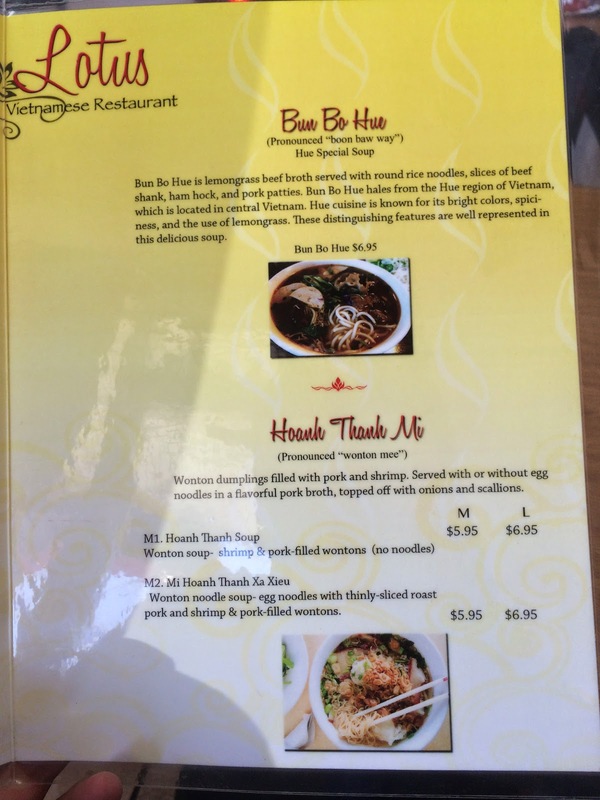 I went with the Vietnamese spring rolls and a large bowl of Pho (with eye round steak, beef flank and tendon). The service was pretty quick. There were only four other diners in when I stopped by for lunch. I tried to engage my server in a small conversation about the place but she didn’t seem to want to be a part of it. I just hope she wasn’t thinking that I was flirting. With minutes, my spring rolls came out and first bite in I already came to a consensus on it. I just wasn’t a fan. 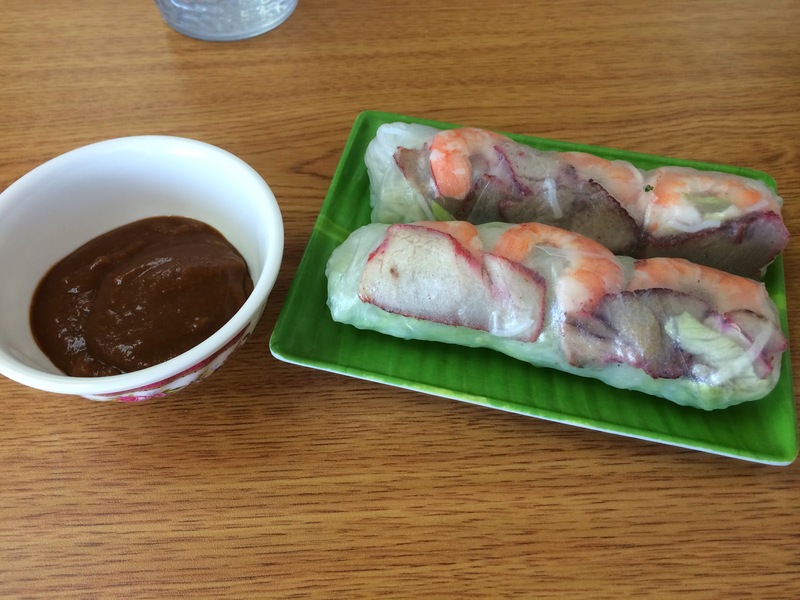 The worst part about blogging restaurants is having to give an honest opinion of the food and the spring rolls just didn’t have much flavor to it even with adding the hoisin/peanut butter sauce on it. The roll was rather dry and the meat quality left something to be desired. Next up was the bowl of pho and I was hoping for a better go around after the spring roll. When I start out eating pho, I always take a spoonful of broth and taste it before adding in the hoisin and Sriracha. 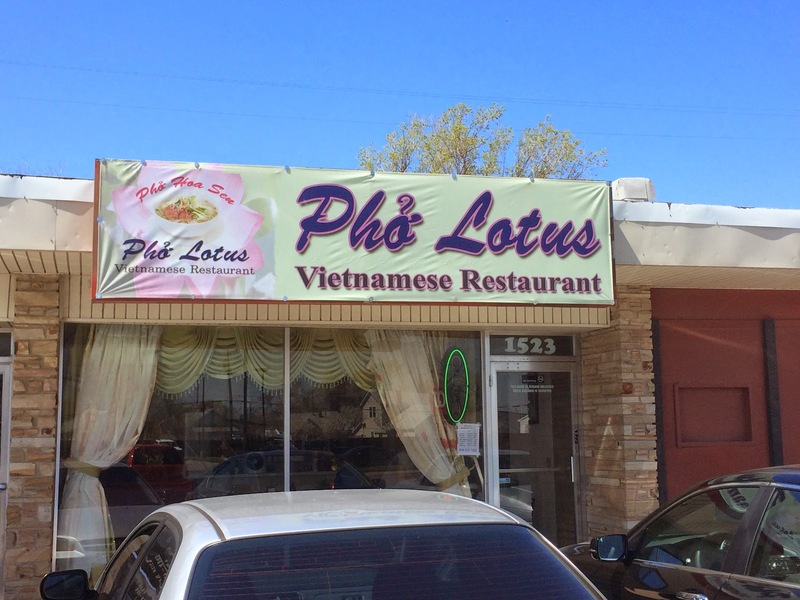 It’d best be described as ok. Once diving into the bowl and mixing everything up, I knew Pho Lotus wouldn’t rank up there with the heavyweights of Wichita in terms of quality. It was more of a middle of the road type Pho that’s nice to have if you live in the area but not a place you would go out of your way to travel to. Service was quick. Food was ok. That’s the basic gist of Pho Lotus. 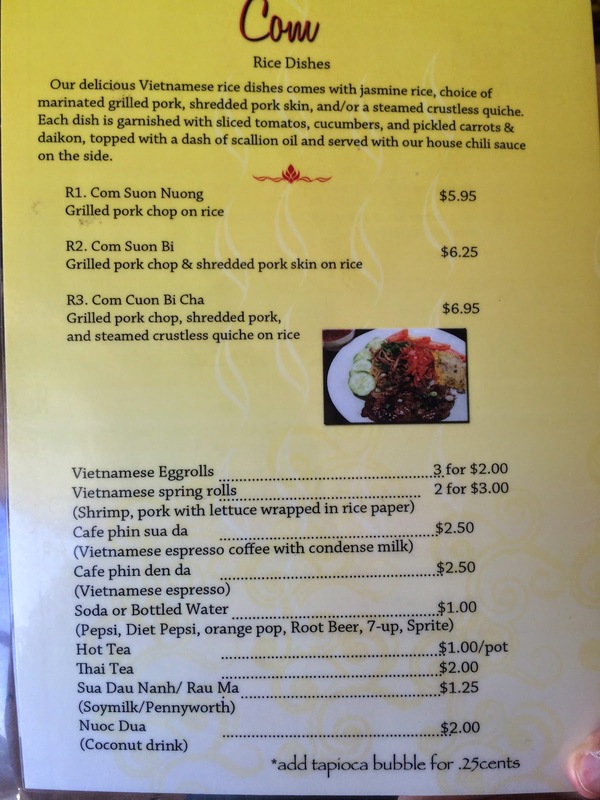 I’ve attached pictures of the menu below for you all to take a look at. Happy Friday and Happy Dining folks. 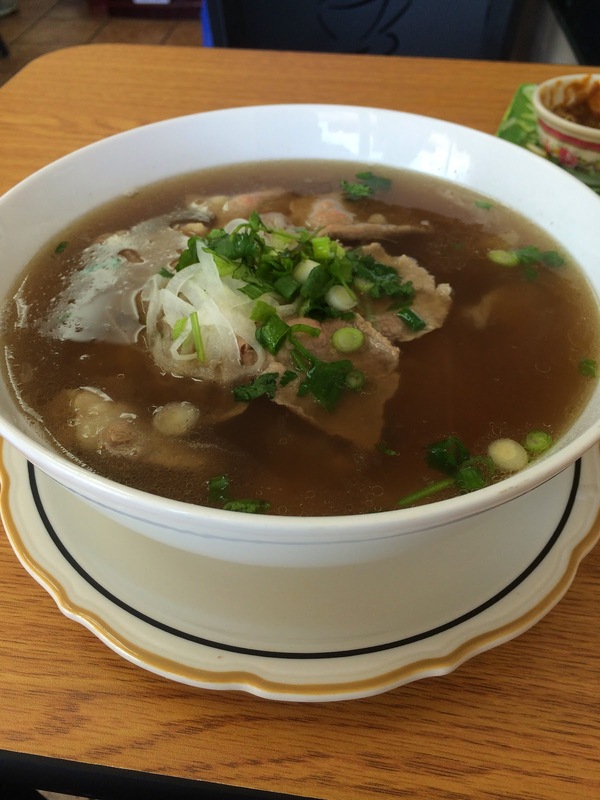 Their pho isn't really that good, however they are more known for their mi wonton and xa xiu!